US industrial conglomerate General Electric said Monday it would boost spending on environmentally friendly energy research by $10 billion by 2020, including on fracking technologies and wind turbines. The new investment extends and builds on a research and development (R&D) program launched in 2005 aimed at finding technologies that reduce costs and environmental impacts for GE's customers and its own operations, the company said. GE said the new investment will support research in alternative technologies to replace water in hydraulic fracturing, known as "fracking", and improve wind turbine and power plant efficiencies. The program, "ecomagination", has already generated more than $160 billion in revenue, and reduced GE's greenhouse gas emissions and freshwater use, said the company, whose wide portfolio of products includes aircraft engines, power plants, geospatial systems and household appliances. 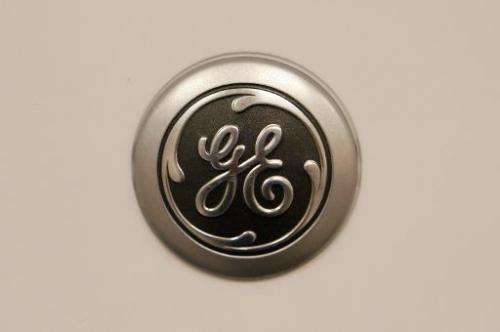 GE has invested $12 billion to date of its $15 billion commitment on the R&D program through 2015. Jeff Immelt, GE chairman and chief executive, said the now $25 billion program was one of the conglomerate's most successful cross-company business initiatives. "Bold investments in ecomagination research and development have resulted in strong returns for shareholders and improved cost and emissions savings for our customers," he said in a statement. GE announced two new R&D projects in the natural gas sector, where fracking—the use of pressurized liquids to create fissures in rocks to release gas and oil—has significantly raised production as well as environmental concerns. GE said it had teamed up with Norwegian oil giant Statoil to look into whether carbon dioxide would be suitable for large-scale use as an alternative to water, potentially reducing the large amounts of water needed for fracking. CO2 is currently used for some fracking but is a high-cost option. "The goal of GE and Statoil's new research collaboration is to evaluate whether a system can be designed to capture CO2 produced from emissions; reuse the CO2 to fracture rock formations; and then capture it again for re-use on the next well," the Norwalk, Connecticut-based company said. In the second project, GE is working with Canadian company Ferus to capture natural gas that operators flare off from new oil and gas wells in remote areas because of a lack of infrastructure to economically capture and transport it. GE and Ferus are capturing the natural gas and removing natural gas liquids, such as propane and butane, which are then sold. The remaining methane is compressed, stored and then used to power operations on remote wells, GE said. Dow member GE shares closed at $25.29, a gain of 1.4 percent from Friday. erhhh... since when is considering an alternative for water use in fracking considered environmentally friendly energy? That's trading a paper boat for a rubber boat to cross the Atlantic ocean. GEe! Is the money coming from their coffers or from government subsidies/tax payers? And fracking? Something stinks to high hell!